My oh my, where to begin with Katharine and Hani? 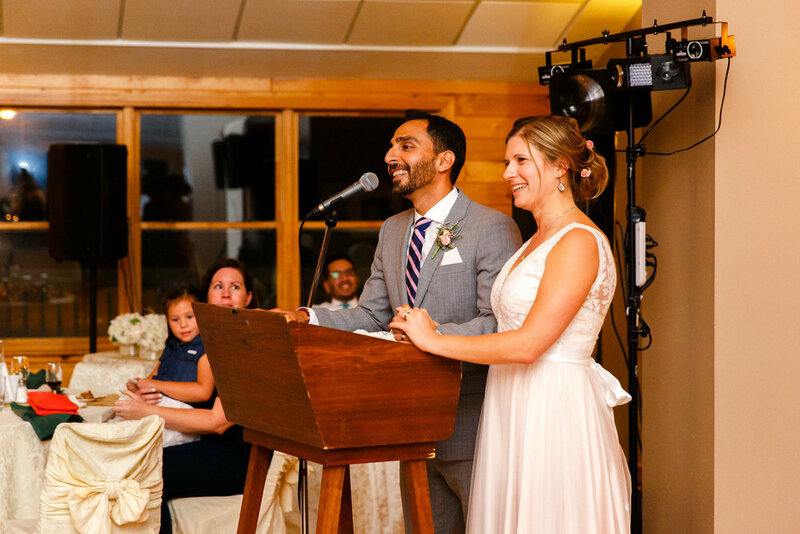 I had anxiously awaited this wedding since I first chatted with Katharine and she shared the story of how she and Hani met while travelling in Cape Town, South Africa, introduced by mutual friends from their university in England. After four days of walking around Cape Town drinking coffee and talking 'til the sun went down, their connection was imminent and something they would continue to foster after that fateful meeting in South Africa. 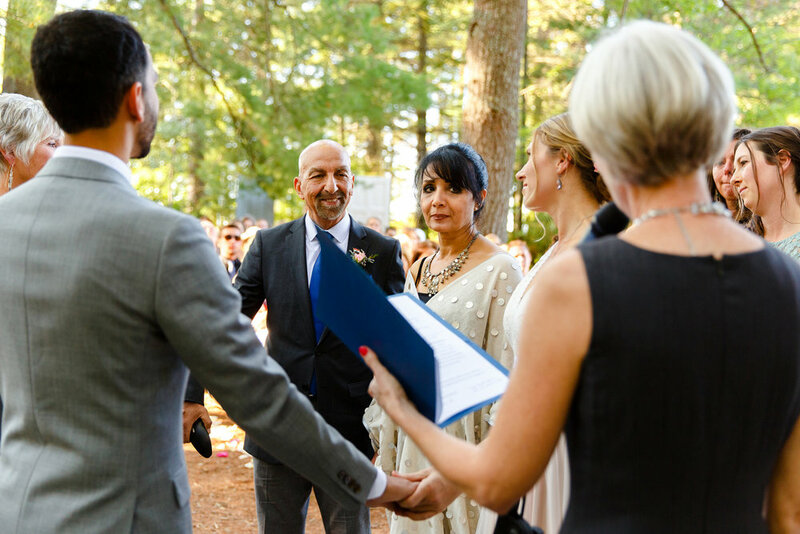 After dozens of trips back forth from Canada, Egypt, and England, communicating with both pen and paper and keyboard and computer, and meeting each other's family the decision to marry was made final when Hani gave Katharine a ring. Navigating the Cairo legal system presented it's only challenges, but after a few signed papers and stamped thumbs they were married in Egypt, but that was only part one of their love story. 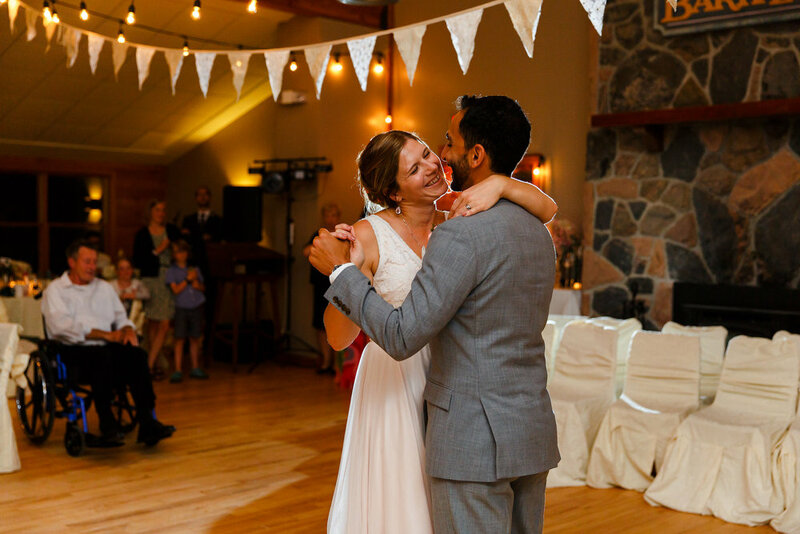 This past September, Katharine and Hani's closest family and friends gathered at Bark Lake Leadership Centre in Haliburton, not far from where Katharine grew up, to witness these two beautiful people exchange vows beneath bending pines. I was so fortunate to spend the weekend with Katharine, Hani, and their guests, arriving the night before to witness a fireside performance by Craig Cardiff, Katharine's favourite musician, a surprise organized by her sister and friend. The next morning before the wedding, games were organized to allow the guests to get to know each other and mingle before dancing the night away. These were so much fun to document, as it allowed me to see how close this special family was and how much fun they have together, something I'd continue to notice throughout the day. 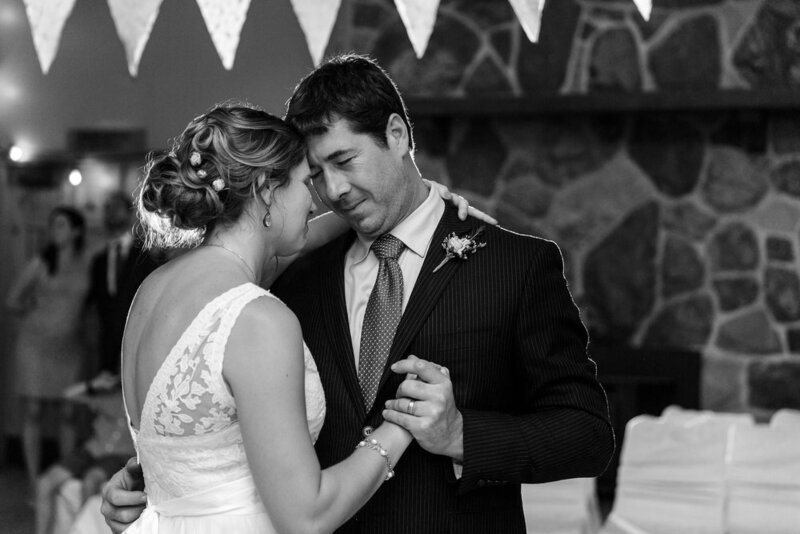 The ceremony was a beautiful and emotional affair, with contributions from several family members including Katharine's cousin (who officiated the wedding), her mum, and Hani's father as well as a music from Katharine's close friends. Following the ceremony, Katharine, Hani and I snuck off to the waters edge to shoot some portraits as the sun began to set. This was when I truly witnessed the deep connection that these two share. They were so immensely focused on each other, it was like I wasn't even there. After all the waiting they were finally together and the deep love they have for each other shone through in every image. It was perfect. That night I learned more of their many adventures both together and apart, and I was filled with joy to be a part of it all. Katharine and Hani, thank you so much for having me. I'm so glad our many emails and Skype calls culminated in a weekend as beautiful as yours. Thank you. I remember the first time I visited The Great Hall. I was so intrigued by this beautiful old red brick building with it's domed corner turret which had stood proudly at the corner of Queen St W and Dovercourt Rd since 1890. I was in my first year of university at Ryerson, and I was seeing Jens Lekman and Owen Pallett in concert, which was a very exciting experience for this indie kid in 2008. Being this far west on Queen also felt unknown and exhilarating, and I remember sitting on the upper balcony on the left hand side of the stage, snapping photos of the show on my old Canon DSLR and bopping along to the music. After the show, Jens and Owen walked us east along Queen St to a grassy spot where they played a few more songs to the small group that had followed. I remember sitting crossed legged on the ground beside Owen and it was all very magical for an 18 year old music fan. Over the years I would attend several more concerts at The Great Hall, everything from hip hop to big band, and shop at numerous craft fairs and holiday markets before the building closed for extensive renovations in 2014. This past September, on the eve of The Great Hall's re-opening, I had the opportunity to do a styled shoot with the lovely Jess Hoang of Bisous Events to show off the beauty and functionality of the building's "new" Conversation Room. The perfect palette for an early Fall wedding, the tabletop included lush greenery with rich purple and soft pink florals housed in bold bronze vessels and light sea foam bottles. The colours pop off the fresh white walls of the Conversation Room and the warmth from the restored wood floor brought everything together. It was a pleasure photographing this intimate scene in a room that felt like a breath of fresh air despite being 126 years old! Thank you to The Wedding Co for sharing this Emerald Autumn inspired shoot on their blog. Here are a few of my favourites! Thank to the wonderful team that helped bring this shoot to life! In August I had the pleasure of photographing my first ever proposal and my goodness was it a ton of fun! To actually witness (and document) the moment of surprise when a groom-to-be gets down on one knee with a ring in hand was both exhilarating and incredibly emotional. It was an honour to be part of such a moment that I nearly paused to gaze in awe as everything unfolded below me, but knew that I had to continue snapping away and capture every reaction. How how did we make this happen? Raul had hired a private boat to tour us around the Toronto Islands, and the scheme we cooked up was that I was taking photographs of a "private couple's session" for the boat company's website. Oh how sneaky we were as I casually captured Raul and the lovely and unsuspecting Mariam enjoying the cruise and the views. Once we were in position with the city skyline providing the most perfect backdrop, Raul got down on one knee and told Mariam just how happy she made him and that he wanted to spend the rest the rest of his life with her. I had such a blast yelling "Congratulations!" with the boat's crew before we docked at Centre Island to do a mini portrait session as the sun begun to set. 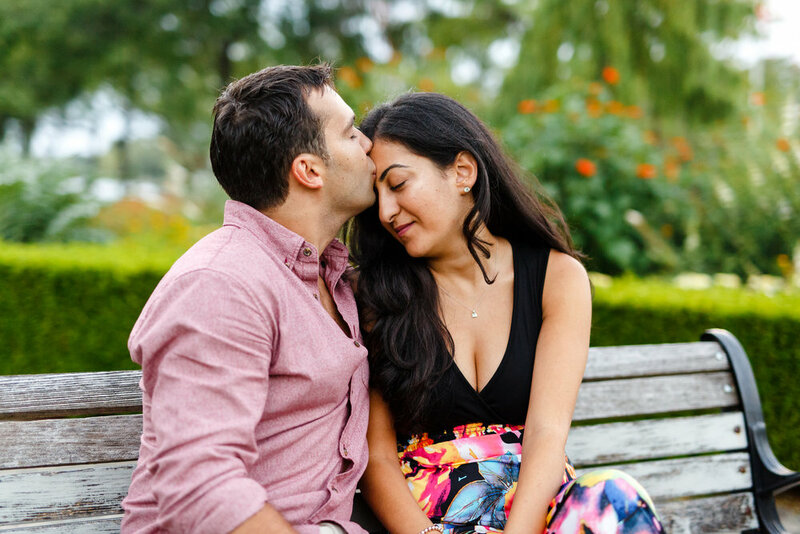 I loved shooting these portraits as there was both an excitement and peacefulness to the moment, as Raul and Mariam embraced this special time together and took everything in. Naturally we had to do a little Titanic reenactment at the end because hey, when do you have the chance to do it on your own private boat right after getting engaged? Raul, thank you for having me tag along on your most special surprise, I loved every moment. Thank you to the fine folks at Heritage Coast Charters for the smooth trip around the islands! 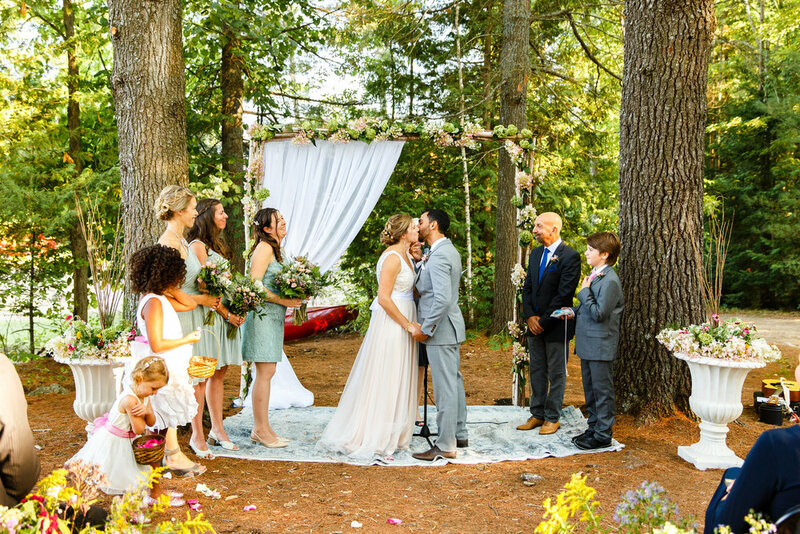 Katharine and Hani exchanged vows under two towering pine trees, surrounded by family and friends, by the shore of Bark Lake. Their ceremony was one of the most beautiful I've ever photographed, with Katharine's mum singing a song that's traditionally sung at their family weddings, and Hani's father reciting a beautiful passage. Following the ceremony we slipped away for a few portraits as the sun began to set. I'm so excited to share more of this day with you soon. It's never too late for reflection, right? What a year 2015 year was.